This may surprise you, but I began my yoga practice by happenstance and somewhat by force. Yoga was a required course at the graduate institution where I studied psychology. We were given a choice during our second year of the doctoral program: Continue with another year of Aikido or switch to yoga. I switched to yoga. Though I was interested in learning about yoga, the practice of it was rather unpleasant for me. It was underwhelming. The class started around 9 am in the mornings, during the period of the day in which I typically had the most energy, especially after having my morning coffee. I’d be rearing to go, and the hatha yoga we were doing felt ridiculously slow and physically not challenging enough to satisfy me.—I was in the practice of riding 40-70 miles on my road bike a week in addition to walking vigorously in the hills of Northern California.—I lamented to the yoga teacher about the challenges of her class, and her response was that I practice Bikram yoga on my own for credit in her class. Though I would not recommend Bikram to people for various reasons, my teacher’s recommendation to try Bikram yoga turned out to be a real game changer. After just a couple of weeks of practicing Bikram yoga, I discovered I could focus my mind for an entire hour and a half on just moving my body into and out of 26 yoga poses without thinking about much else and without needing music to keep me going. This was a profound realization for me at age 25. The lack of variety (of the postures) involved in Bikram in any other capacity in my life would have quickly bored me, but somehow, I never got bored with those same 26 poses! In fact, I came to enjoy having the yoga practice be so steady and unwavering. It felt settling and was informative. Any shift or change in my practice provided instant feedback on what was happening within me that given day. My yoga practice became a moving meditation practice. The more I did yoga, the more deeply I was able to meditate, and the more often I sat in meditation, the more focused my mind was and at peace my body was during my yoga practice. Bikram yoga, and really any form of vigorous yoga would have, opened the door to calming my mind, settling my body, and opening my heart. Yoga is an incredibly powerful tool, offering a wide range of health benefits. I personally have experienced many of them over the years. By dabbling in different forms of yoga practices, I have learned over time which forms of yoga and teachers provide me the most benefit physically, emotionally, and spiritually. I encourage you to do the same. I’ve just finished reading a wonderful book reviewing the research to-date on yoga called The Science of Yoga: The Risks and the Rewards by William J. Broad. I discovered this book at an airport bookstore some weeks ago and thought it would be an interesting and useful read. And it was. This book was a way of learning more about the science behind what I’ve come to discover experientially throughout nearly two decades of yoga practice. If you are a yoga teacher or practitioner or are thinking about starting a yoga practice, you may want to pick up this book. I wish I could present the highlights of the book to you in this blog post, but to keep these blog posts more succinct, I’ll save it for the next one. 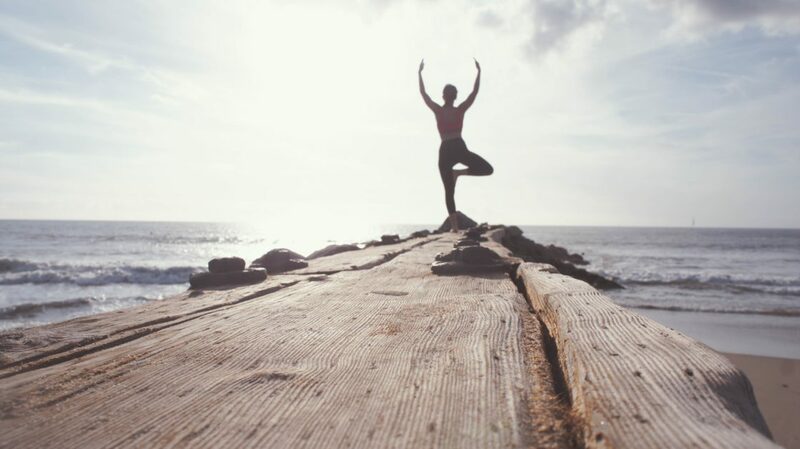 Click here for Part 2 of this blog series on the history and evolution of yoga, the general benefits of yoga, and how practicing the right form of yoga can be very healing for a wide variety of ailments, issues, problems, and illnesses. When you sign up here, you will receive new donthateyourguts.com blog posts on the week they are published. Your contact information is safe here; it will never be sold or misused by Open Door Therapy.